This snowman will add smiles to people visiting. He's quite the greeter. He is a jolly 4 feet tall, & is covered in soft, shimmering tinsel. He has 50 lights on him. He is collapsible, & is opened up by pulling on his top hat. 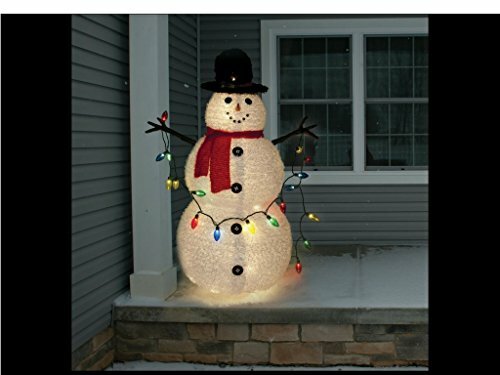 A 4 foot tall Jolly Snowman, with 50 lights. He has a scarf to keep him warm, & will greet your guests.